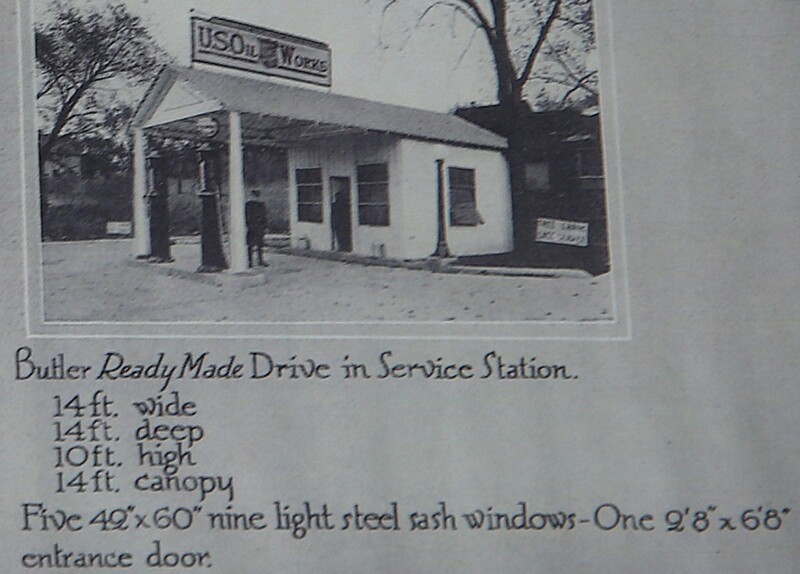 Shea’s Gas Station. 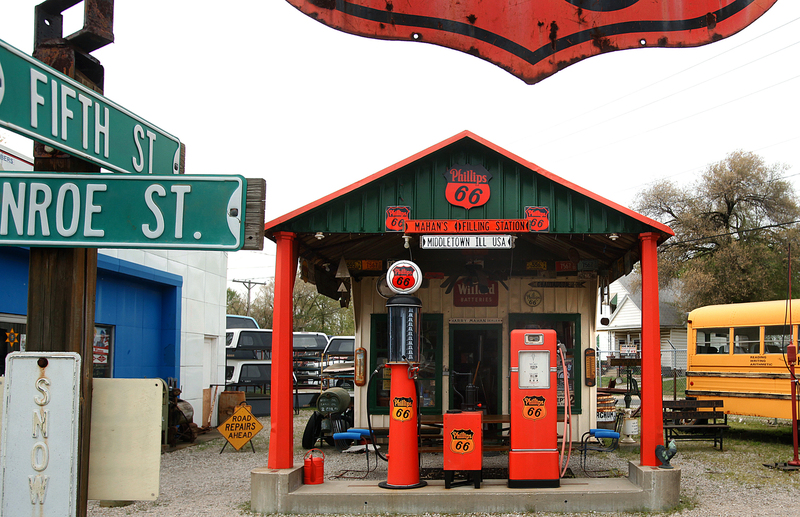 Oldest Gas Station on Route 66 in Illinois. 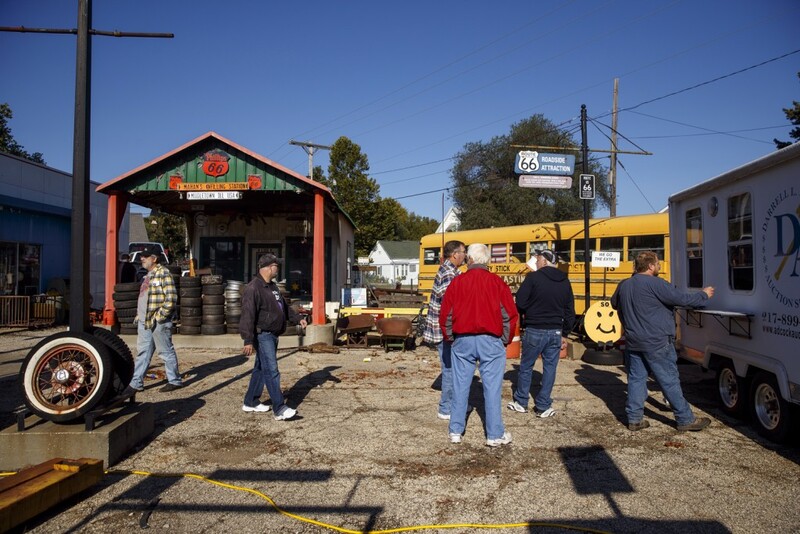 A Springfield Tourist attraction. 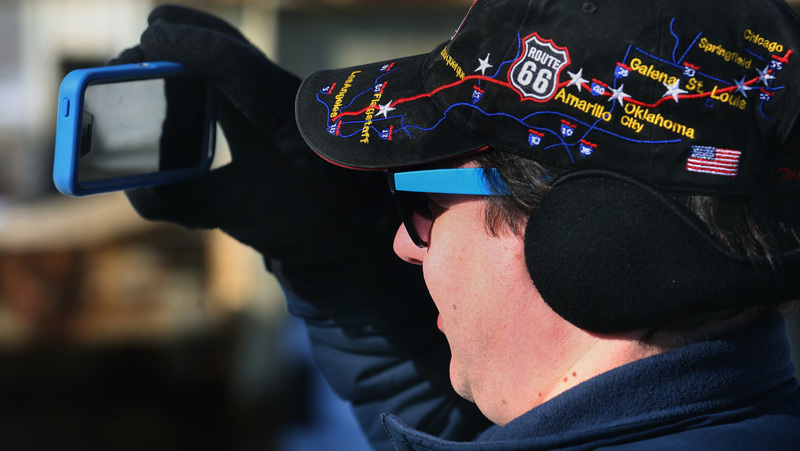 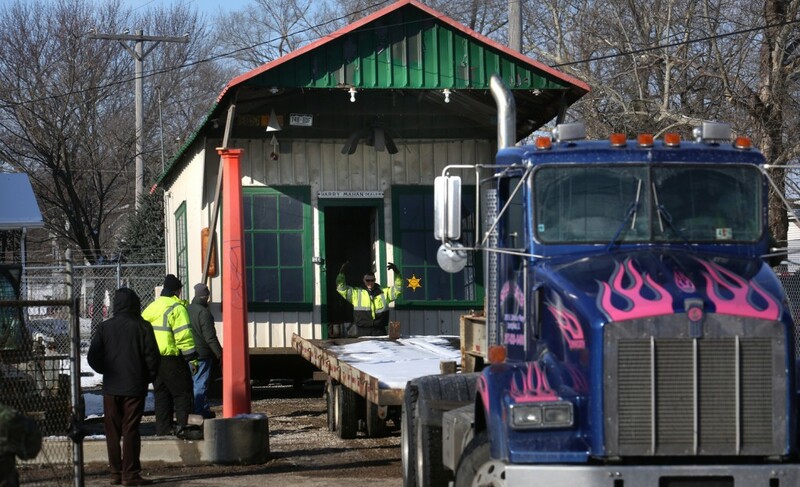 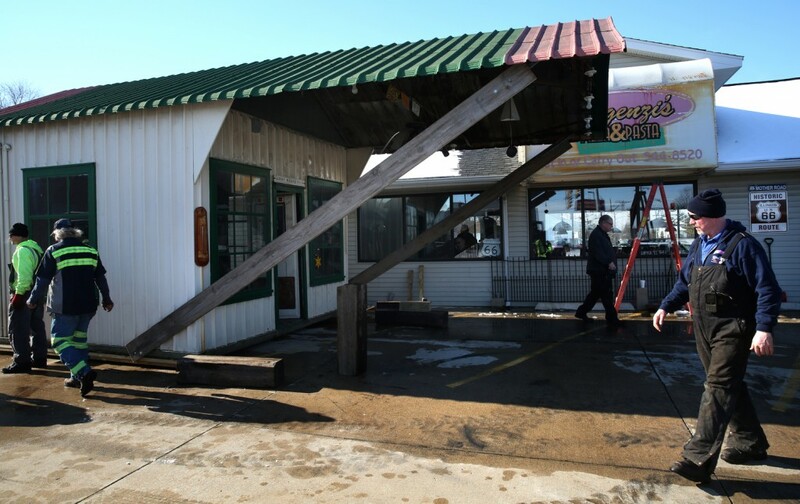 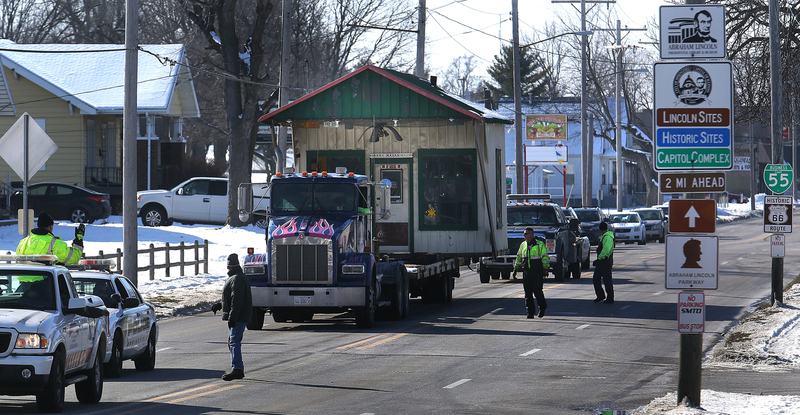 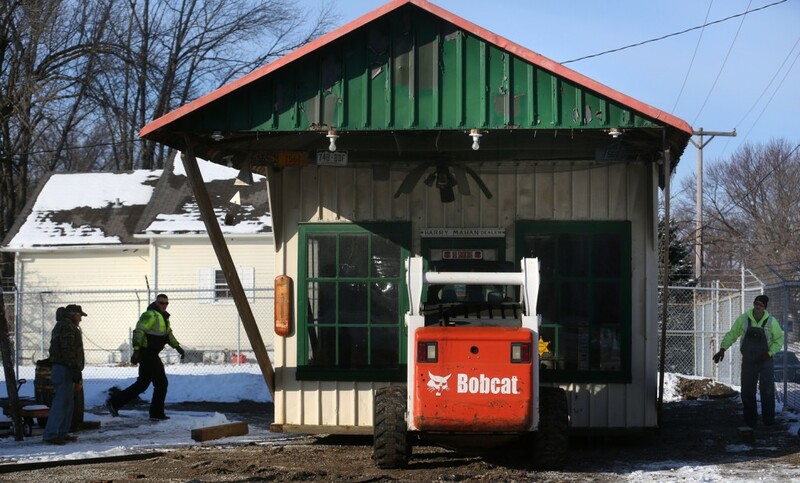 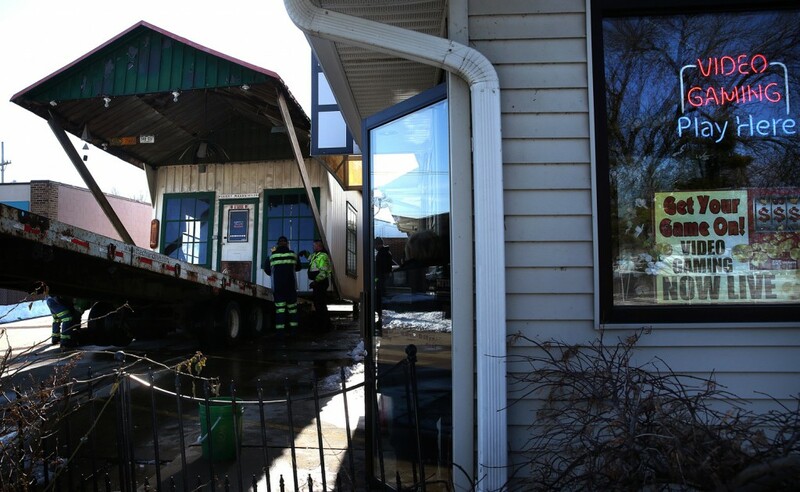 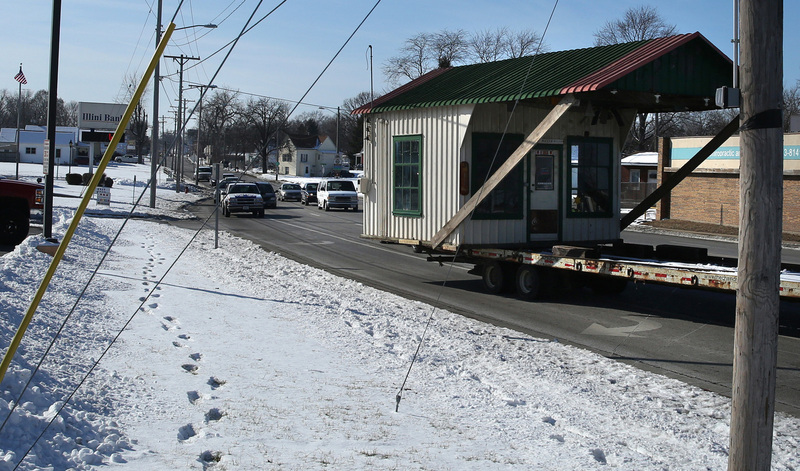 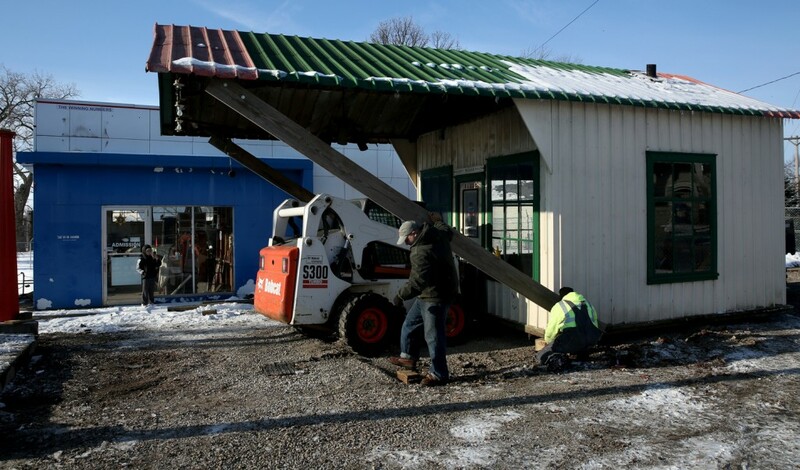 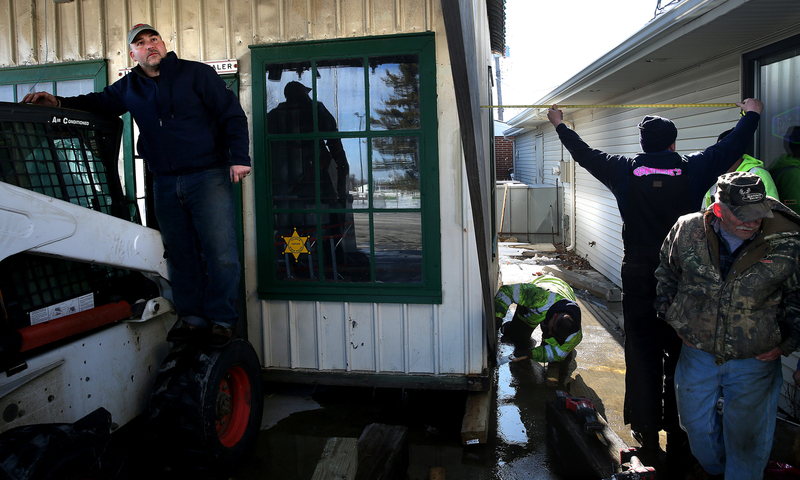 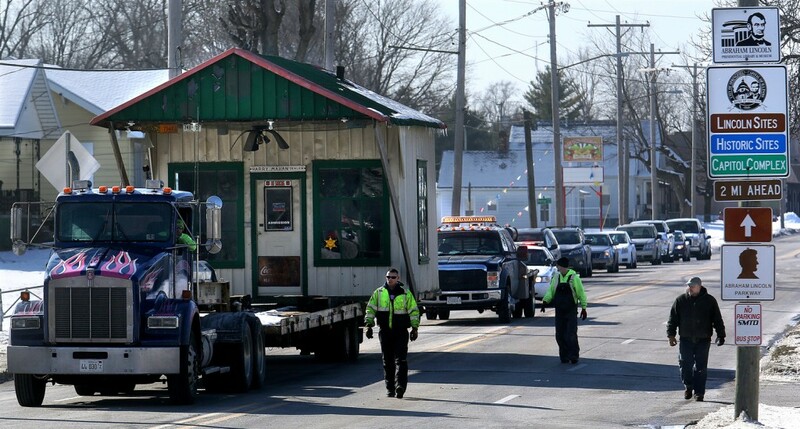 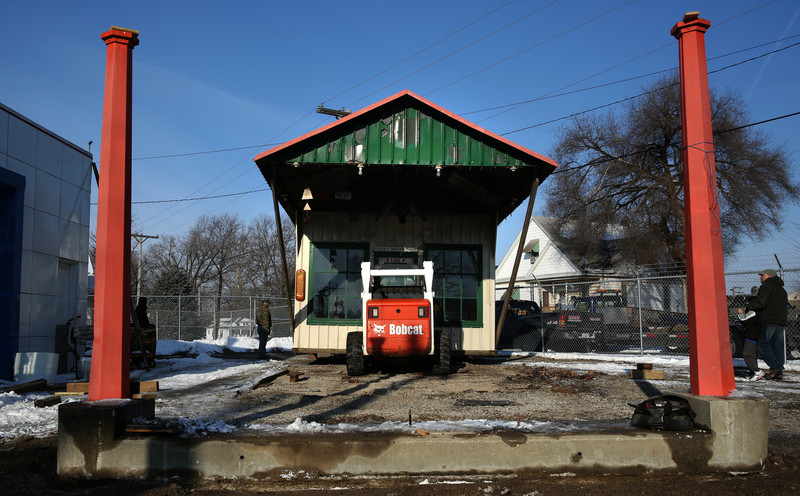 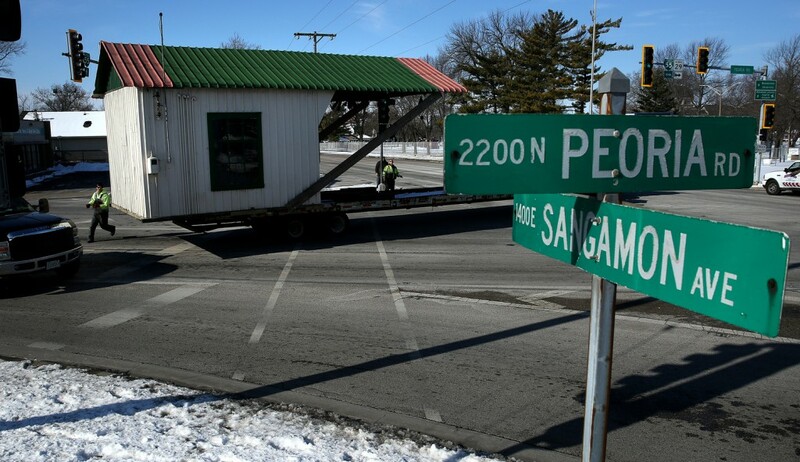 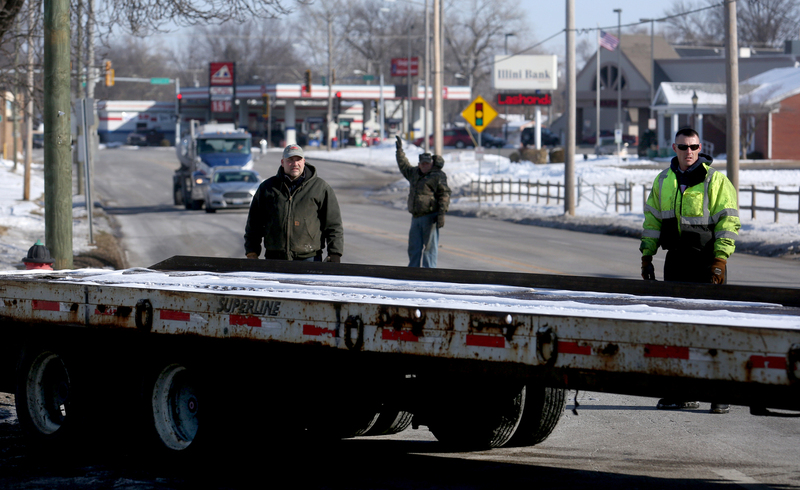 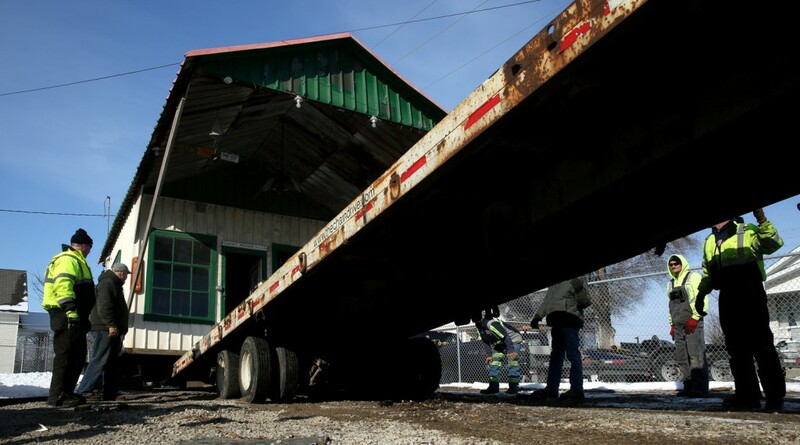 The former Mahan’s Filling Station, a centerpiece of the now-closed Shea’s Route 66 Museum in Springfield, was moved on Sunday, Jan. 24, 2016 a short distance to the east side of Fulgenzi’s Pizza and Pasta. 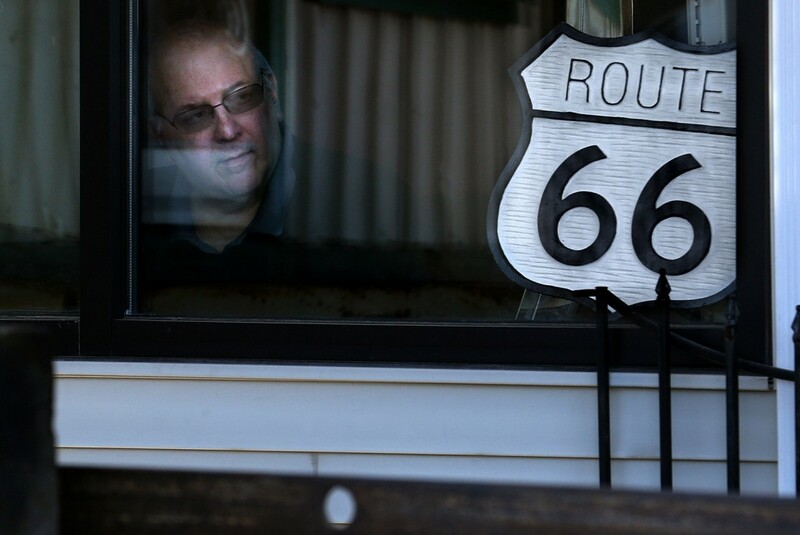 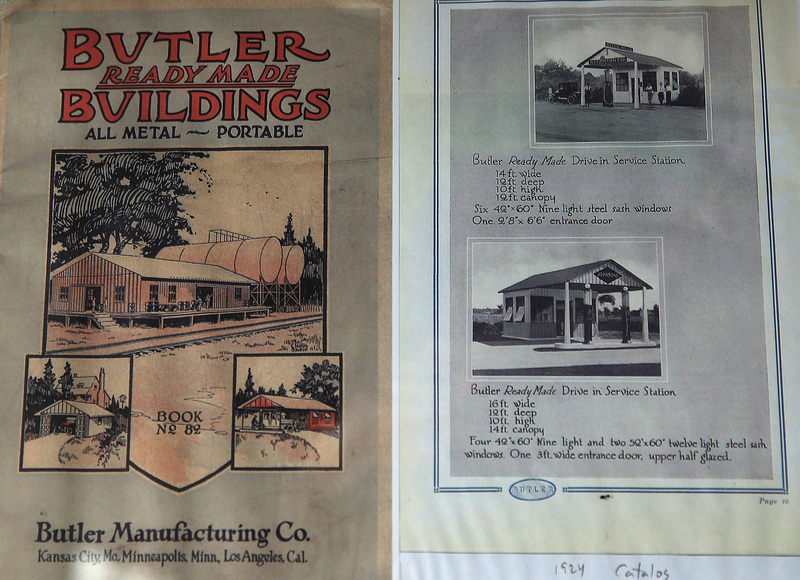 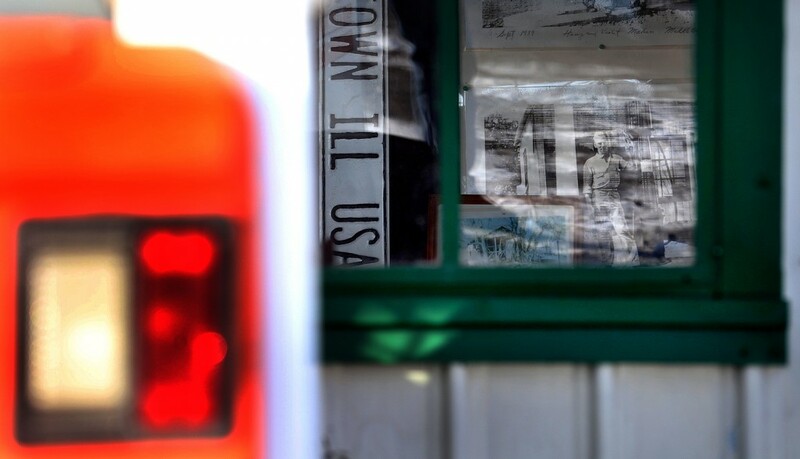 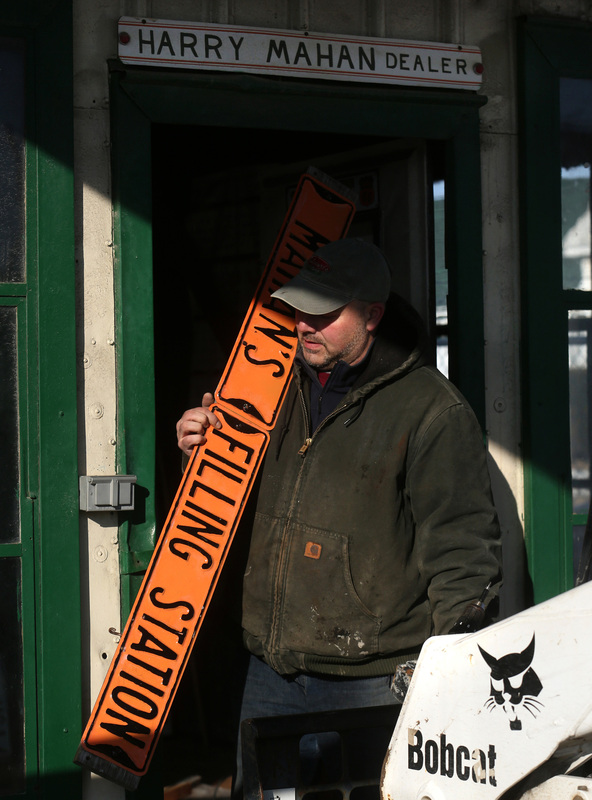 New owner Jeff Fulgenzi, who believes the building may date to as early as 1917, and is certainly one of the oldest surviving filling stations in the state, plans to restore it as closely as possible to its original state. 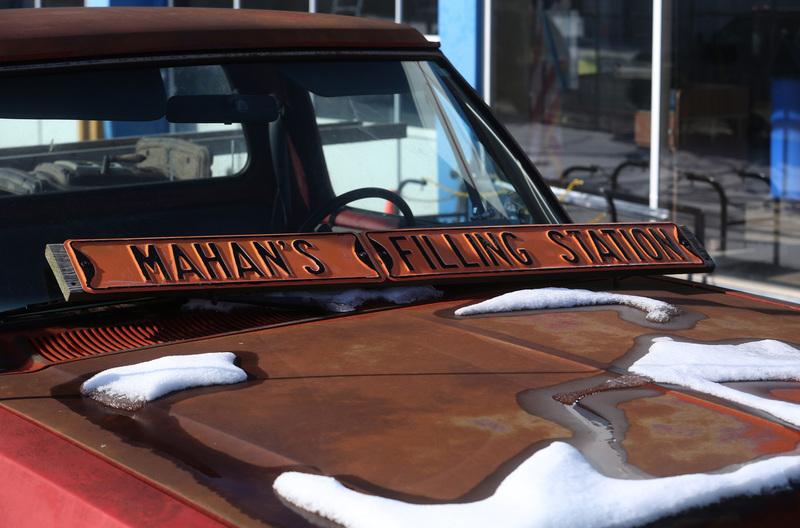 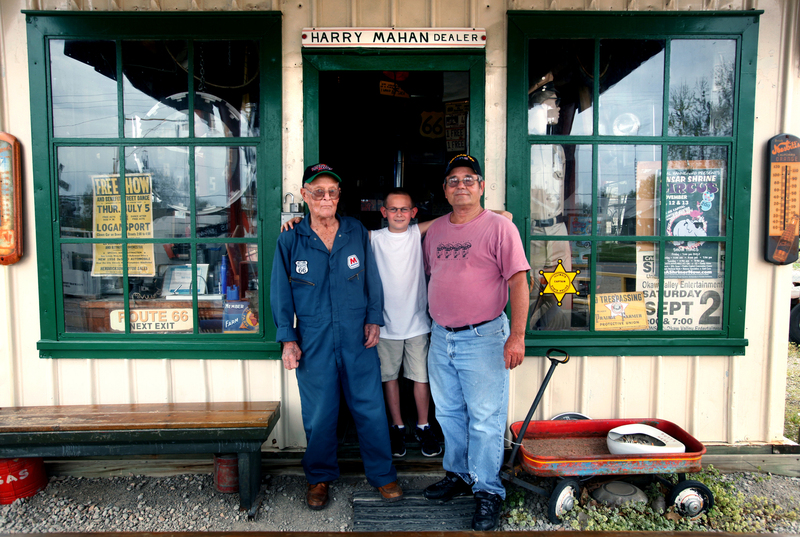 Originally a Phillips 66 Station, Mahan’s was moved 21 miles from Middletown by Williamsville contractor Dave Turner in February 2000 and relocated within the museum compound, where it was restored. 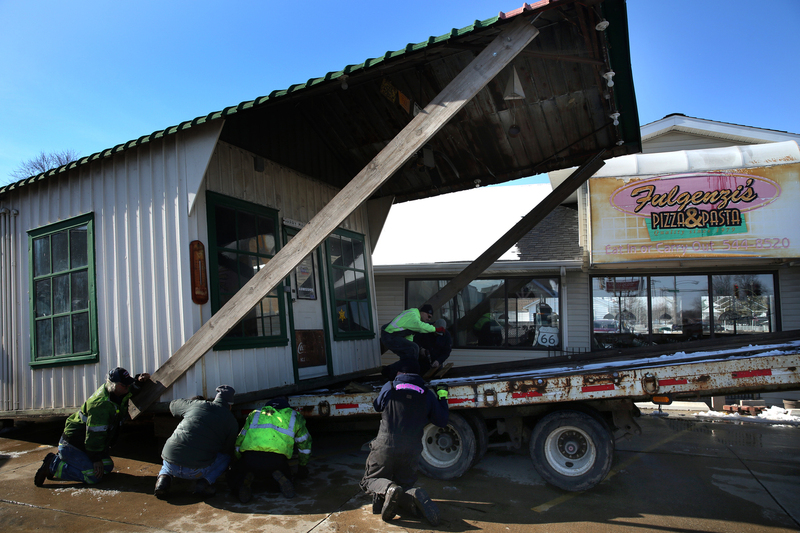 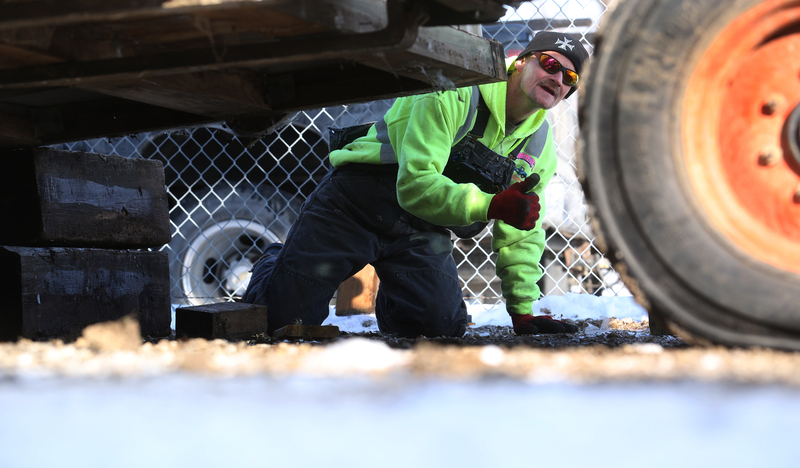 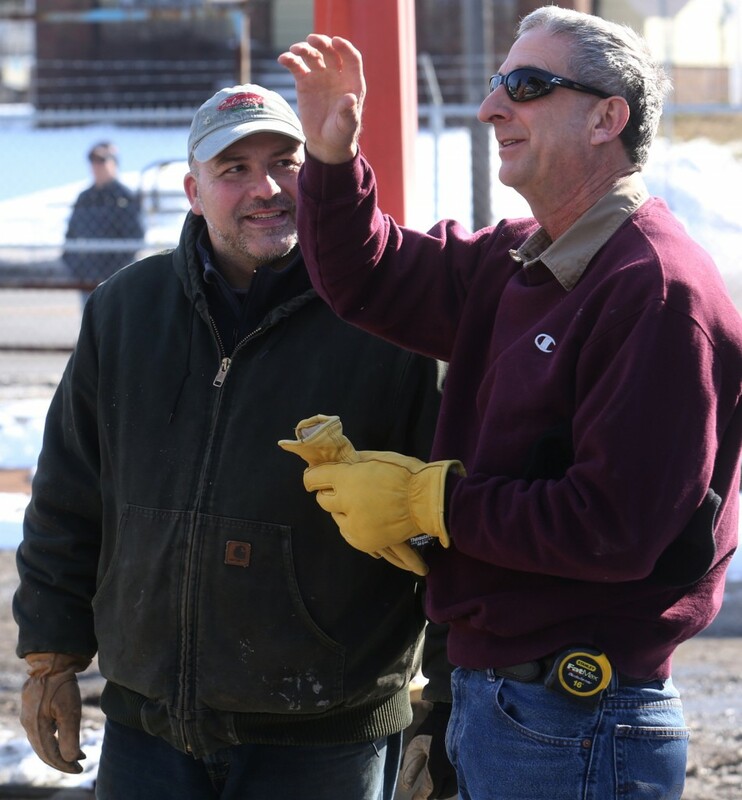 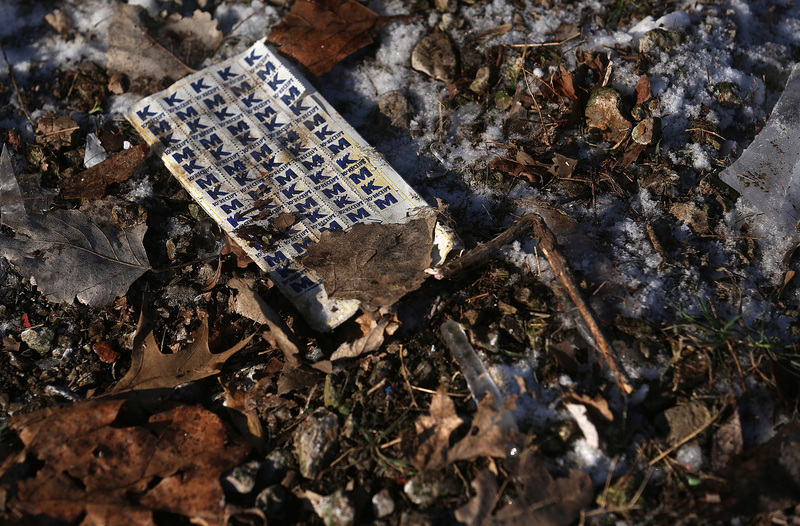 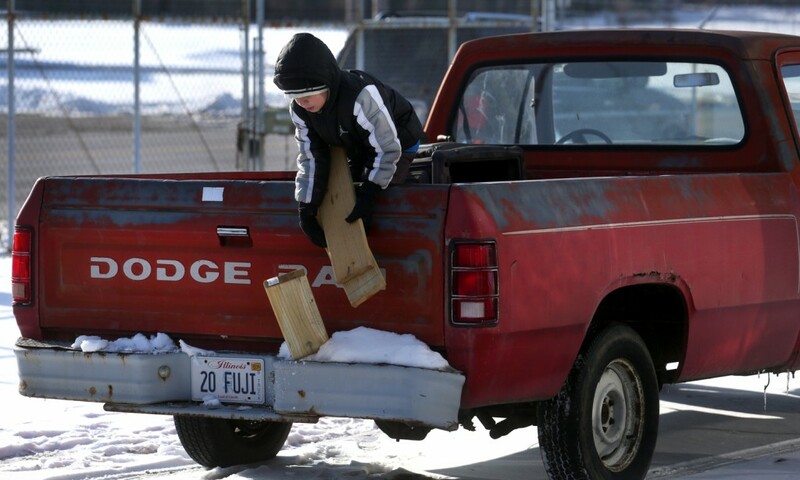 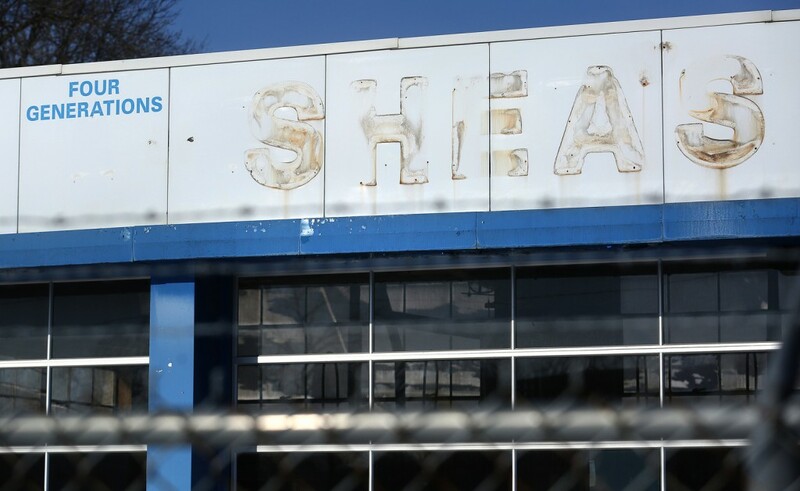 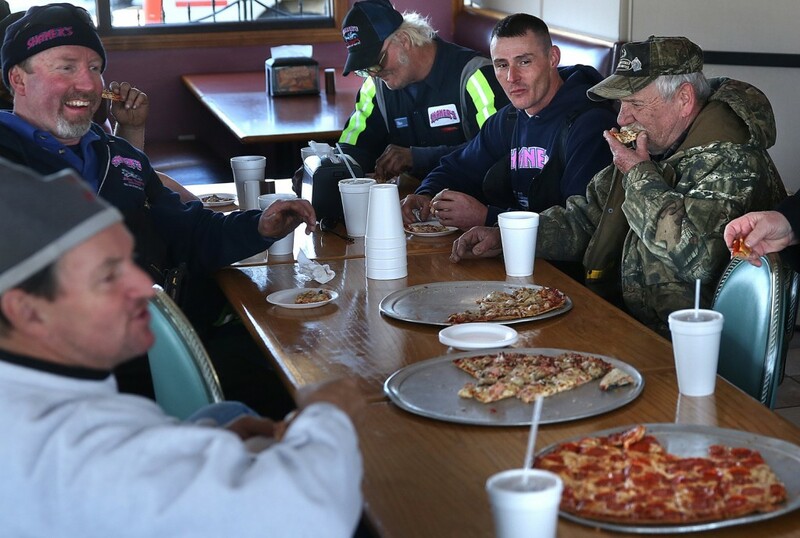 The move was completed in a little over three hours Sunday by employees of Shaner’s Towing under the direction of Moss Excavating owner Bill Moss.